Girl Scouts of Northern Illinois is looking forward to celebrating National Girl Scout Cookie Day next Friday, February 8. If you have not heard how we are planning to celebrate, you can read this post with all of the details. Best of all, people who attend the event can purchase the first-ever, commemorative National Girl Scout Cookie Patch from the Council Store! 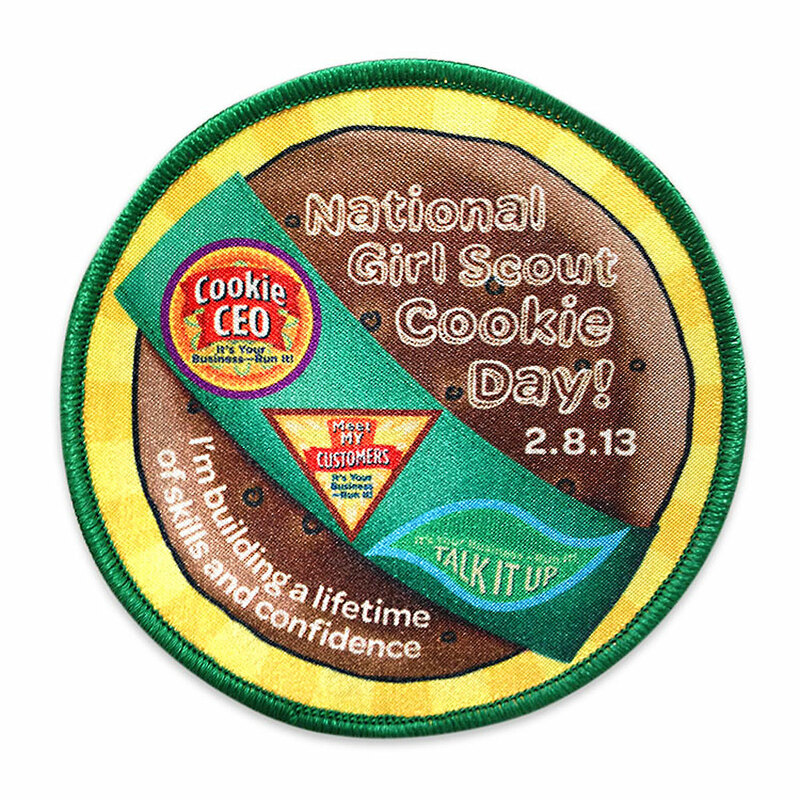 This trendy collector’s item is a fun way for girls and adults to show their support of the Girl Scout Cookie Program. You can also promote National Girl Scout Cookie Day on Twitter! Just use the hashtag, #onemorebox to share your support and be entered in a national contest. We hope you join us for all of the fun on National Girl Scout Cookie Day! Posted on January 31, 2013 at 1:38 PM in events, patches	| RSS feed You can	trackback	from your own site.